Bir KULLANILAN arıyorsunuz ZY-150 ? Series ZY single-stage-vacuum insulating oil purifier, which is mainly applied in the power station, industrial and mining enterprises to purify the different of unqualified insulating oils, like the transformer oil, mutual inductor oil, switch oil and so on. Series ZY can remove water; trace water, gas, particles from oil quickly and effectively, improving and recovering oil's dielectric strength. Also, this ZY oil purifier can be used as vacuum drying, and vacuum oiling for electric-equipments. CHONGQING NAKIN ELECTROMECHANICAL CO.LTD. is a professional mechanism manufacturer (oil purifier) from Chongqing China. The company is joint-stock high-tech enterprise, after ten years of development, company has grown into a comprehensive enterprise, engaging in vacuum oil purifier producing, filter element producing, and Imp&Exp trading. 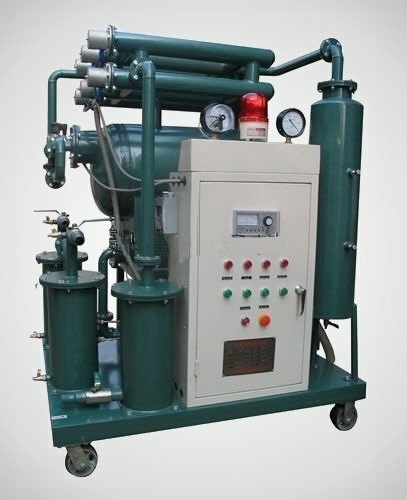 NAKIN oil purifier and filter are widely applied in projects of transformer substation, electric department, steel structure, bridge, auto, railway, aviation, chemicals, petroleum etc. The products are exported to more than 30 countries and areas, such as Europe, America, Middle East, Southeast Asia and so on. The product gets the good reputation from the dealer and end user. Yeni satın almak isteyen NAKIN ZY-150 ?